As EQ2 continues to celebrate “25 Years Dedicated Entirely to Healthcare”, our company visited with 24×7 Magazine to discuss where we’ve been and where we’re going. The October issue of 24×7 Magazine includes a roundtable discussion on CMMS software considerations for hospitals. 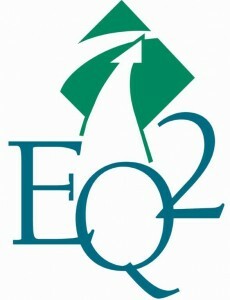 EQ2 Chief Technology Officer Vishal Malhotra joined other experts to look at several emerging trends. Now, through this interface, HTMs using EQ2’s CMMS service can maintain a more thorough and comprehensive biomedical asset lifecycle management program, with access to manufacturers manuals, IFUs, PM documents, End of Life letters, AEM information and related material. EQ2 Product Manager Rich Sable talked with TechNation Magazine live at the AAMI 2018 annual event, discussing the EQ2 silver anniversary, specifics of CMMS for healthcare, new product announcements, and the difference of using HEMS for large and small hospitals. The Company Will be Celebrating the Milestone While Introducing New Feature-Rich Products for its CMMS at the AAMI 2018 Conference and Expo.